Bariatric hospital beds support patients who weigh more than 375 pounds and can use foam, innerspring or a combination innerspring foam mattress that fits usually fits a 42 " x 80" to 48" x 80" support platform. Standard size hospital beds (semi or full electric) come with foam mattresses that fit on a 30" x 80" twin bed frame. Bariatric hospital beds support patients who weigh more than 300 pounds and can use foam mattresses that fit on a 38" x 80" twin bed frame. 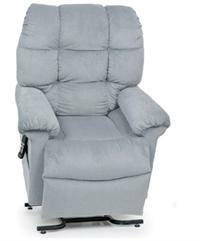 Golden Technologies is a 50 year old company that manufacture lift chairs in America. BMS is an authorized internet distributor for Golden Technologies products. 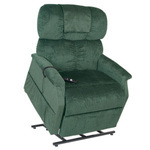 BMS's most popular and requested products are lift chairs from Golden Technologies. Flex-a-Bed is an American company operating since 1969 is my vendor for these beds. 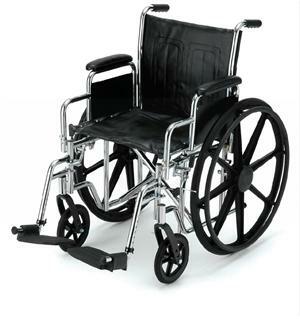 I am the only luxury hospital bed rental service in California and as far as I know, the entire nation. BMS provides Flex-a-Bed luxury hospital bed rentals and sales. Hi-Lo, Premier and Value are Flex-a-Bed's luxury bed product lines. Their luxury bed mattresses use a soft, medium or firm innerspring mattress that fits on a standard twin to a king size frame. Visco-elastic or natural latex mattress upgrades are available.